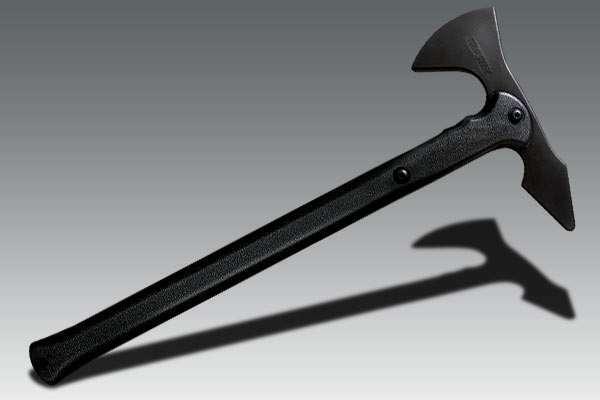 Cold Steel tomahawk trainer, made with very durable Santoprene. Ideal trainer for self defence trainings. Great product. Very durable and balanced, perfect for training or airsoft. Delivered fast and with the best price in the eu. Used it a few times this week and seems like it will last a good few years, great quality as with all cold steel trainers. Be careful, this thing may not be sharp but can still break bones, drove it through a plywood table, trench hawk1-table 0!